Gianluca Casseri, who shot three Senegalese street-vendors in Florence on December 13, killing two of them, and then killed himself to avoid capture, is being described by some press reports as “the Italian Breivik.” Both were from the radical right, both were enthusiasts of fantasy literature, and both seem to have thought themselves fighting in an apocalyptic clash of civilizations. There are important differences between Casseri and Breivik, however. Breivik dismissed Traditionalism, while Casseri was a Traditionalist. And while Breivik’s writings make his acceptance of the clash of civilizations narrative very clear, Casseri’s writings barely refer to Islam. For Casseri, the important clash seems to have been that between Tradition and Modernity. And the important narrative may have been that of the warrior, Casseri’s interest in whom may owe something to Evola. This may help to explain his actions, but it does not explain his targets. Something of Casseri’s ideology may be reconstructed from the four publications that can be found relatively easily: one novel, one short essay, one extended essay, and one long non-fiction book. The short essay, from 2010, argues for finding the “roots of Europe” not in Christianity or the Enlightenment but in paganism, Indo-European religion and ultimately the Vedas. It bases itself largely on Sul problema d’una Tradizione Europea (On the problem of a European Tradition, 1973) of the Evolian Traditionalist Adriano Romualdi (1940-73), and thus ultimately on Evola. The extended essay, from 2000, “Dracula, il guerriero di Wotan” (Dracula, the warrior of Wotan), deals at length with what Casseri sees as a central figure in this tradition: the berserker, the bearskin-clad super-warrior of Norse myth. Casseri seeks to demonstrate the relationship between the Dracula myth and the berserker, with careful footnoting and references to Eliade, C. G. Jung, and Georges Dumézil, among others. Eliade and Dumézil, of course, have their own relationship to Traditionalism. The basic idea of Casseri’s “Dracula,” however, seems to come from a book by a scholar at the University of Cagliari, Marinella Lőrinczi, author of Dracula & Co. Il richiamo del Nord nei romanzi di Bram Stoker (Dracula & Co.: The call of the North in the novels of Bram Stoker, 1998). The non-fiction book, I protocolli del savio di Alessandria (The protocols of the Learned Elder of Alessandia, 2011) refers to Umberto Eco, who was born in Alessandria (Piedmont, Italy), and challenges the version of the origins of The Protocols of the Learned Elders of Zion given by Eco in his Il Cimitero di Praga (The Prague Cemetery, 2010). Part of Eco’s novel places the origins of the Protocols in Eco's own picaresque occult-tinged story. Current resources do not allow me to see what Casseri’s alternative version is. Casseri, then, appears as an Evolian Traditionalist with a taste for fiction, and also as a member of Italy’s Evolian milieu. De Turris writes introductions to his books. “Dracula” was published on the website of the Centro Studi La Runa, a mainstream Evolian group dating from 1994. The essay on the pagan roots of Europe was first published on the website of a mainstream non-Traditionalist neo-Fascist group, the CasaPound, but the Centro Studi La Runa then republished it. 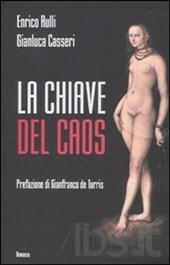 Although a member of the Evolian milieu, Casseri was also read outside it: La chiave del caos was published by a small but mainstream publisher specializing in books on personal growth and related topics, and I protocolli del savio di Alessandria was also published by a non-Traditionalist publisher, though a rather smaller one. If Casseri’s ideological profile is reasonably clear, the relationship between this and his actions is not clear. To judge from his writings, he had little interest in Islam, and neither does the Centro Studi La Runa, or even the neo-Fascist CasaPound. Casseri wrote against the Christian myth of Europe to which Breivik subscribed. Perhaps the extended essay on the berserker, the hunter and the beast-warrior explains something? Even though some websites and Facebook groups are now hailing Casseri as a “patriot” and casting Dracula as a hero of European resistance against Islam (on the grounds that he fought Turks), Casseri seems very different from Breivik. In Breivik’s case, the connection between ideology and action was clear. In Casseri’s case, the connection is far from clear. Casseri was clearly a committed Traditionalist, but this seems to have nothing to do with the deaths in Florence. Normally, ideology is a key to understanding terrorism, but ion this case, the explanation evidently lies somewhere else. NOTE: Professor Lőrinczi has asked me to point out that the suggestion that Casseri used her ideas on the relationship between the Dracula myth and the berserker does not mean that she is in any way responsible for Casseri's views or actions, and Professor Lőrinczi wishes to stress that she in fact rejects such views and actions in the strongest terms.